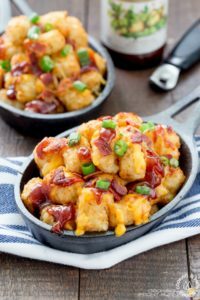 BBQ Bacon Cheesy Totchos are a fun nachos appetizer, made with tater tots! It’s always appetizer time and these cheesy barbecue and bacon Totchos are perfect for any gathering. 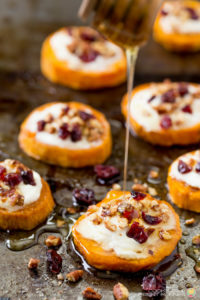 These Smashed Sweet Potatoes are the perfect side dish for any occasion. 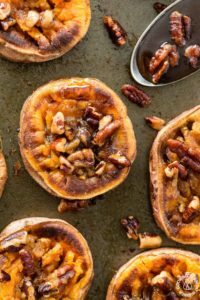 The sweet potatoes are roasted with cinnamon, a bit of chili powder and topped with crunchy toasted maple pecans! 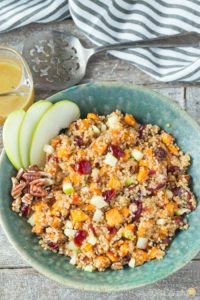 Healthy is the name of the game with this Apple Sweet Potato Quinoa Salad with crunchy apples and pecans, roasted sweet potatoes, dried cranberries and quinoa. 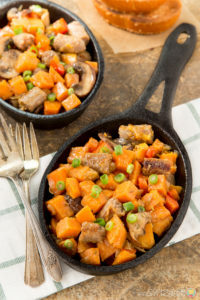 This Sweet Potato and Sausage Hash is a hearty breakfast that is a great way to start the day. You’ll have all sorts of energy! 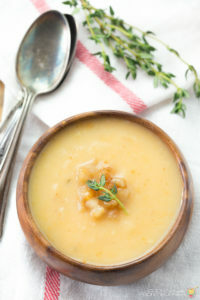 This dairy-free Pear and Sweet Potato soup is a nice change for your dinner table. The texture is creamy and has a lightly sweet taste. Perfect for company too! 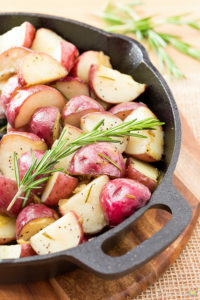 These Skillet Roasted Potatoes with Rosemary make a great side dish. Fork tender potatoes with the delicate flavor of rosemary!